HP LaserJet M1319f All-In-One Laser Printer is on sale at BestBuy. While other stores still sell this printer for the regular price $299.99, BestBuy is giving $120 off. What a great deal for HP LaserJet M1319f All-In-One Laser Printer! Hurry up or the deal will end. HP LaserJet M1319f All-In-One Laser Printer provides four-in-one print, copy, scan and fax functionality to help you save space and increase efficiency. HP LaserJet M1319f All-In-One Laser Printer is fast and versatile, it can save money and space with one device that prints, faxes, copies, and scans. HP LaserJet M1319f All-In-One Laser Printer prints and copies up to 19 pages per minute and produces the first page in 8.5 seconds. 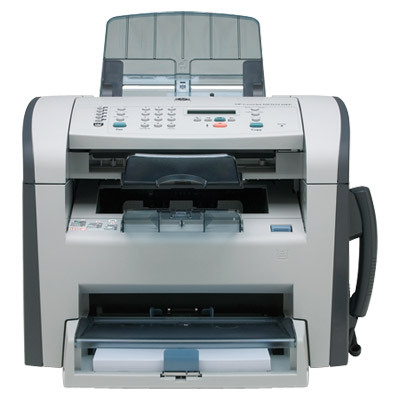 It also faxes fast from the automatic document feeder using the 33.6 Kbps modem with 120-speed dials; the 500-page fax memory stores your important faxes. HP LaserJet M1319f All-In-One Laser Printer uses HP 12A New Compatible Toner Cartridge (Q2612A) or HP Q2612X New Compatible Toner Cartridge (High Yield). At 123ink.ca, we offer you one of our best compatible toner cartridges —HP 12A New Compatible Toner Cartridge (Q2612A) or HP Q2612X New Compatible Toner Cartridge (High Yield). The price starts $29.99. The quality of our HP 12A New Compatible Toner Cartridge (Q2612A) or HP Q2612X New Compatible Toner Cartridge (High Yield)is tested by hundreds of our clients; we never hear any complaint and return from them. HP 12A New Compatible Toner Cartridge (Q2612A) or HP Q2612X New Compatible Toner Cartridge (High Yield) is not only compatible with HP Laserjet M1319f, but also with HP LaserJet 1010, HP LaserJet 3010 etc. Click here to shop HP LaserJet M1319f All-In-One Laser Printer toner cartridge from us.